I don’t think I’m a superstitious person. But, who knows? A short look at superstitions, and a look at the busy-ness of what’s going on this quarter with TradeshowGuy Exhibits. 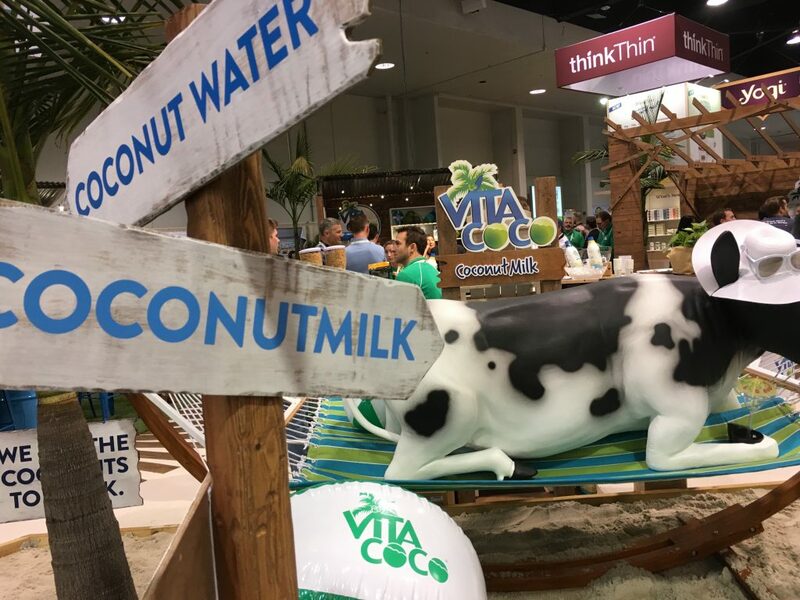 Why do so many companies come up short with their tradeshow marketing plans? Often it’s in the execution. They have good plans, good people and a solid product or service to market. But their overall idea of how tradeshow marketing should be approached and executed isn’t strong enough. They are also offering a 6-module tradeshow marketing course – check it out! This week’s ONE GOOD THING: The Lee Child/Jack Reacher novel The Hard Way. Good stuff indeed! 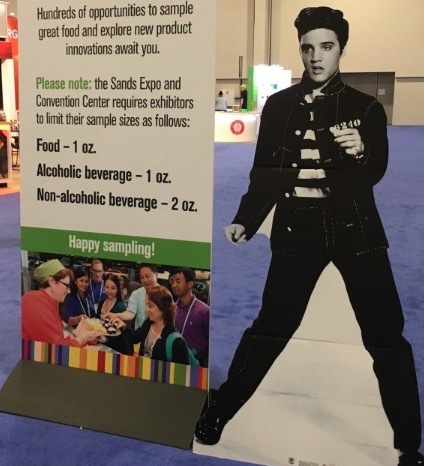 Tradeshow Marketing: Are You Motivated by Fear or Love? Is that a crazy question – are you motivated by fear or love when it comes to tradeshow marketing? After all, it’s just business, right? And setting up an exhibit at a tradeshow is just a basic business decision. But no matter if it’s a personal or a business situation, both fear and love can come into play. Among both clients and among people I meet at tradeshows, love plays a part because, let’s face it, lots of people love tradeshows! They love the noise, chaos, meeting loads of people, selling, setting up a sharp-looking exhibit and so on. But they also fear things. Like not meeting deadlines, spending too much money, not getting a good ROI, being in a poor location, having lack of control over the outcome. I got to thinking about all of this because TradeshowGuy Exhibits will be exhibiting at the Cannabis Collaborative Conference later this month in Portland with about another 100 exhibitors. It’s a modest regional show that draws mostly Oregon-based companies, but it does attract some out-of-state exhibitors. As most exhibitors, we’re putting money, time and energy on the line. And we don’t know if we’ll get out of it what we really want. Which is to generate more business and leads, and to get a good return on investment. Which means I’m motivated by both love and fear. Love of this business and getting out and mixing it up with people face-to-face. Fear of having our expectations come up short due to things beyond our control. Do you fear cows? Or do you love them? What IS within our control are the many steps that we can take prior to the show to generate some traffic at our booth; the actual exhibit; and of course, how we interact with people. Just this week I sent out dozens of post cards to exhibitors inviting them to come by the booth to pick up a copy of one of my books. And once they do, we’ll engage them in a conversation to determine if they’re a potential client by going through the various questions a good exhibitor should do. Regardless of your motivation – love or fear – the one thing you can control is your activity. Know what your plan is, know how to execute it, and most of all, if the plan isn’t working, be prepared to make adjustments. When I started this blog in November 2008, it was a different world. I was employed as VP of Sales and Marketing by Interpretive Exhibits, where I started in April 2002. In 2008 Barack Obama was elected president, gas prices spiked at one point, averaging over $4.10 per gallon. First class postage stamps were 42 cents. CERN’s Large Hadron Collider was officially inaugurated in October of that year. And there was a global recession triggered by (among other things) a real estate bubble, Lehman Brothers bankruptcy, and a stock market crash. And remember credit default swaps? Ooooh, booy. By 2008 I had spent six+ years in the tradeshow world and was still making my way around it. When an old radio friend kidded me by calling me “Tradeshowguy” I didn’t think much of it. But then blogging was becoming a thing, and as someone who liked to write, I wanted an outlet that had to do with my daily routine. 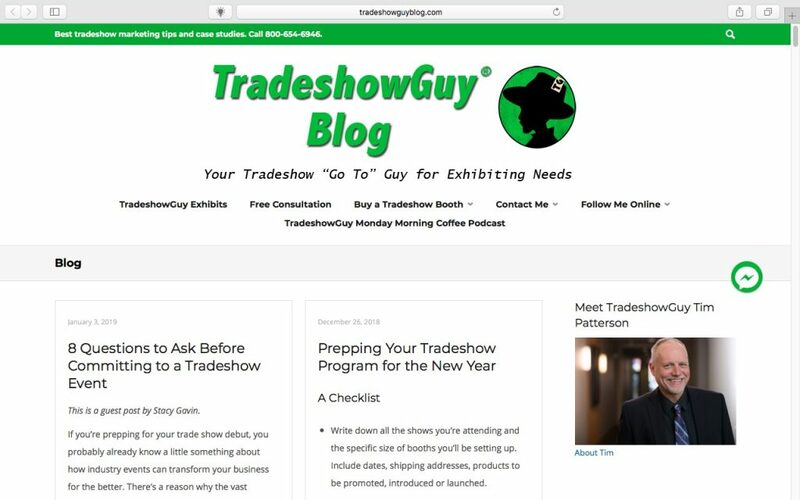 And since it was easy to register a website domain, I did so with TradeshowGuyBlog.com. Just because. Even though I was employed by Interpretive Exhibits, I made sure that when I started this blog, it was not too closely aligned with them. I felt since it was my content, it should be separate. At the time, there were a lot of mentions and links on the blog of IE, but when the owner retired in 2011 and closed the company, I kept the blog going, started TradeshowGuy Exhibits and kept moving forward. Being an old radio guy who had a home studio, I started calling consultants and industry experts and interviewing them and posting the interviews on the blog. Actually, I had been doing that prior to starting the blog and posting the interviews on the Interpretive Exhibits website, which I was also in charge of. It was my way of learning more about the industry and working to differentiate myself from other people in the industry. Blogging is a commitment. Ya gotta show up, all the time. No blogging for a week or two or three and then waiting another month or four. You have to be there, all the time. Each blog is different, and it doesn’t matter a whole lot the frequency of posting, but it has to have a regularity about it. Whether it’s once a week, three times a week, twice a month. Readers should expect you to have something new on a regular basis. You don’t just have to write. You can also post video, audio and photographs. Even the occasional slide deck! Lots of options, so you’re not stuck with just writing. It doesn’t have to be long. Seth Godin blogs every day. Every. Single. Day. Most are short. But he’s always there, he’s always showing up. You learn a ton. By writing about anything, you end up learning more about what you write about. Sometimes it means you’re researching or talking to people. But often the simply act of putting words together helps you understand what it is you’re trying to communicate. Blogging isn’t a quick way to make more money. But it does bring in clients, if only haphazardly and almost accidentally. I’ve had companies find me because of my blog and they’ve become customers. One year, 2016, two-thirds of my company’s business came about because I was found online. Next year, that was down to less than ten percent. There’s no direct line between one and other but there is a line! But people do find me through this blog, and now and then someone buys something. By posting video, you learn a lot about video production. By posting audio, you can learn more about audio production. Even though I did audio production for years as a radio guy, it’s always fun to see what else you can do with digital audio production. Blogs are the perfect platform for podcasting and vlogging (video-blogging). 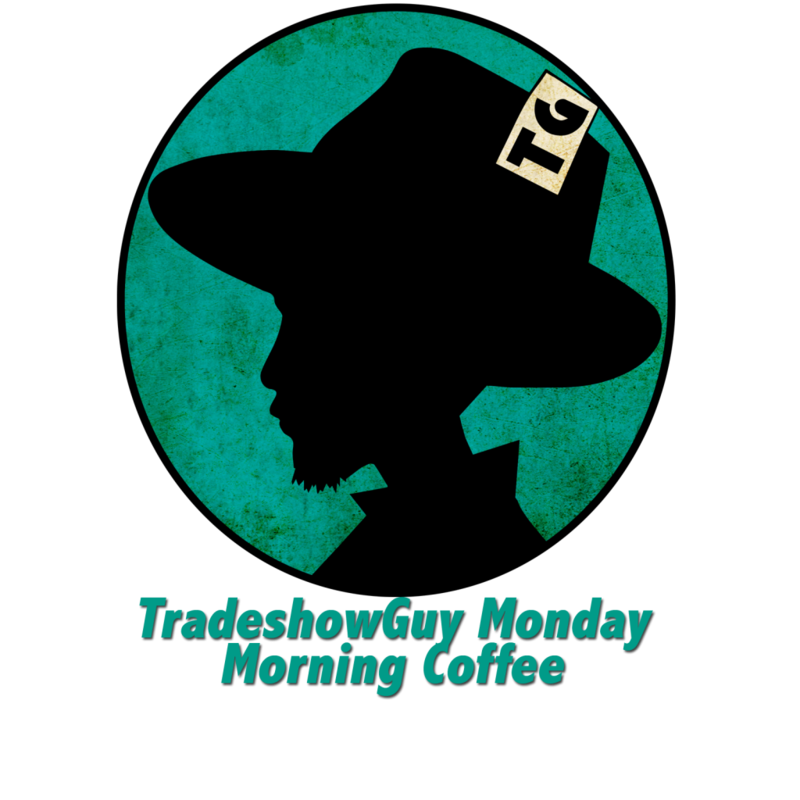 I started TradeshowGuy Monday Morning Coffee so I could have a regular outlet to get in front of a microphone and camera and share more of what I’m doing. Having a weekly deadline where I KNOW I have to produce is a good motivator. You have to be transparent. Yes, you can hide some things, but a blog generally lets people see the real you. Especially if you add in a regular podcast where you talk about yourself and your business. And in this day and age, that is an advantage because it helps make connections that you might not otherwise make so easily. Blogging allows me to meet a lot of people. This is mainly the result of asking people to sit for a short interview for my podcast, but however we connect, they know who I m, and I learn who they are. By blogging, I feel I’m always moving forward. The blog is a great space to share what the company is doing, to highlight new products, shows I attend or exhibit at, people I meet and much more. Now that I’ve (surprisingly) gotten ten years of blogging under my belt, I think I have a good idea of what this is all about. Almost. Stick with me and let’s see where it goes! This is a guest post by Stacy Gavin. If you’re prepping for your trade show debut, you probably already know a little something about how industry events can transform your business for the better. There’s a reason why the vast majority (87 percent) of C-suite executives believe in this tactic as a high-value marketing strategy and are investing more and more in this niche. It all has to do with the fact that attending the right trade shows can seriously bolster your biz and, in some scenarios, it can do it without a huge spend. But the keyword here is right. How Many Attendees Can I Expect?—You’ll spend lots of time and money orchestrating your debut—from coordinating a pro-level trade show setup to booking flights and accommodations for your team—and it will all be for naught if no one shows up at the event. Make sure that the show’s organizing body can present you with measurable, historical data illustrating how many people have showed up in previous years. Note that trade shows come in all shapes in sizes, from massive 100,000-plus attendee events to smaller conventions that cater to just a few thousand people. What Percentage of Attendees Has Buying Power?—Numbers are important, but don’t make your decision about whether to exhibit solely based on how many people will attend. The fact is that some attendees are more valuable than others, and you’d be better off exhibiting to a thousand decision-makers in your niche than a million entry-level employees in the industry at large. While some 84 percent of trade show attendees have the power to make or recommend final purchasing decisions, you should always ask the show at hand if they have event-specific data. This is important if your main objective is to close deals. What Is the ‘NSF’ of the Event?—In the trade show world, “NSF” refers to “net square feet.” This number equals the total square footage of all the rooms, areas and floor space in the given event venue. 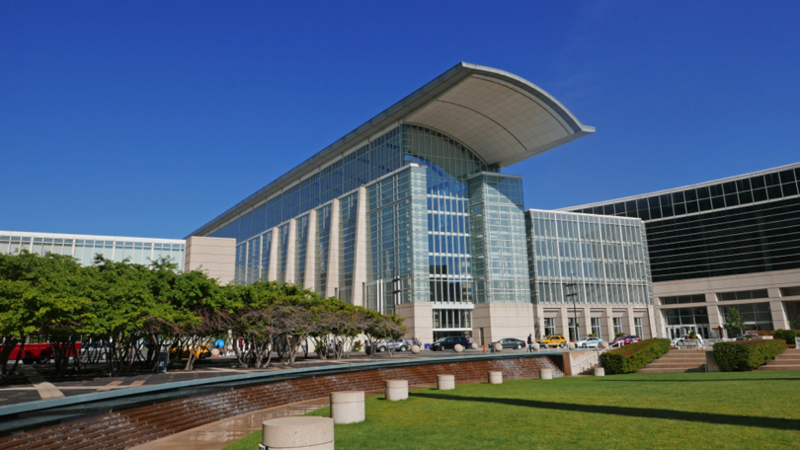 For reference, the country’s largest convention center, McCormick Place in Chicago, offers 2.6 million square feet of prime exhibit space. This, along with the number of attendees and the number of exhibitors, is often used as an indicator of the size of the event. The NSF will help you get a better visual of the breadth of the venue to help you determine whether or not this type of event truly aligns with your brand image and overall business goals. How Many Exhibitors Will Attend?—This is a good metric to know if you’re concerned with the presence of competitors. The last thing you want to do is be one of dozens of exhibitors in the exact same space vying for the attention of a small number of attendees. Note: You shouldn’t automatically be turned off by events with a high number of competitors, especially if you have the ability to stand out by creating an eye-catching trade show display or by leveraging the uniqueness of your product or service. How Many Years Have You Been in Existence?—We’re not saying you should automatically write-off first-time events. In fact, new conventions often offer discounts to exhibitors and may present you with the opportunity to grab better display real estate for a lower price. With that said, we don’t recommend that your very first exhibition be at a fresh, new event. You went to get your feet wet in the trade show world by experiencing one that’s well-attended and well-run. You can then use these events as benchmarks with which to measure the newer ones you attend later down the road. Is the Event Open to the Public?—Surprisingly, the way an event is labeled actually does matter. Trade shows are typically organized to cater to those within the trade and may be closed off to the public, whereas other exhibitor-focused events—often labeled as “shows,” “festivals” or “cons”—can usually be attended by those in the community or members of the general public. 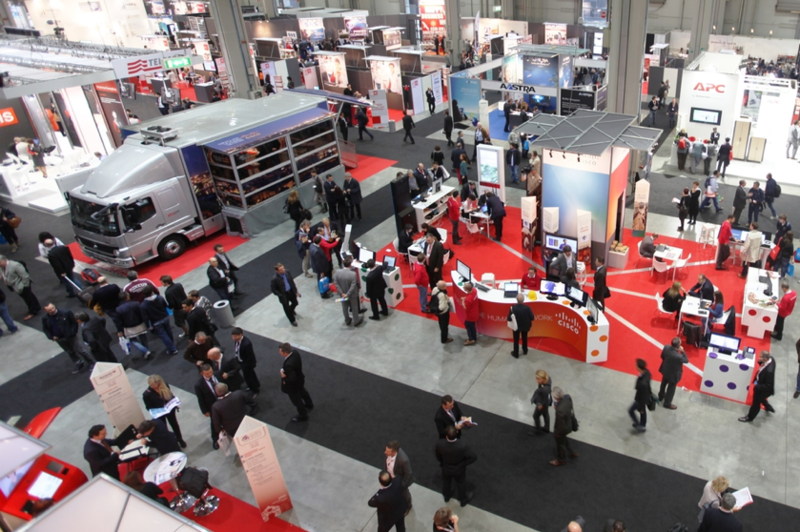 If your goal is to exhibit primarily to other businesses, it’s probably best to stick to events labeled as trade shows. Will There Be Additional Events?—Trade shows and conventions don’t simply exist to help you interface with potential clients and customers. They can also help you with other business objectives, like forging valuable partnerships, finding business suppliers, getting new ideas and even finding potential employees (some execs use these events as a method of “poaching” top talent). Much of this goes on at extraneous events, such as roundtables, networking events, speaking engagements and off-sites. Make sure to get a list of all the offshoot events before committing to a show. Will I Be Able to Get Premium Real Estate?—Finally, try to gauge what kind of booth real estate you can get with your budget at this particular show. This is one of the best reasons why talking with a representative from the hosting body is a good idea when you’re planning. You can ask questions like “How much booth space can I get for my budget?” and you might find that the reps will help stretch your space and find you the best location for your buck. Often, the most successful exhibitors are those who have good spots on the floor. While it is important that you get the facts and figures from the trade show organizer, it can also help if you present some questions to others who have attended the same event in the past. Pose the question among your networking circle, on industry forums or on social media to get real, unbiased opinions on the show. Once you find the perfect event for your specific niche, budget and business objectives, you can be confident that exhibiting will bring a measurable return on investment. Stacy Gavin is in charge of eCommerce Digital Marketing for HalfPriceBanners. Write down all the shows you’re attending and the specific size of booths you’ll be setting up. Include dates, shipping addresses, products to be promoted, introduced or launched. Plan social media broadcasts and interactions for the shows. Make a list of needed collateral, photos, videos and more that you’ll need to have. List all of the various vendors you’ll use during the year, such as tradeshow exhibit houses, I&D (Installation and Dismantle) groups, shippers, graphic artists/designers, printers, promotional products providers and more. Create a list of the people from your company will be attend each show. Check out show websites to find out dates that hotels open for reservations. Most show websites will have a downloadable PDF with critical dates, addresses and other information. Create a folder on your computer to store this information for easy reference. Put all of the pertinent dates on your calendar with reminders if needed. Speak to all of your vendors to get information on what is required for updates, including graphic file specs, turnaround time for any updates to the booth or repairs that need to be made. Prepare sales and marketing materials. Is your event staff going to wear uniforms or branded t-shirts? Get them ordered ahead of time. Confirm event registration for all attendees. Confirm booth registration for all shows. Confirm schedule for payments and amounts. Finalize budget for the year ahead. Contact targeted attendees and book meetings a few weeks out, maybe a couple of months out if it’s a big show. Being a tradeshow marketing manager is a non-stop, year-round job. Never-ending! By keeping things as organized as possible you’ll have a better handle on all of the loose ends that come up. Hopefully this list will help you out! This month marks two years of the vlog/podcast TradeshowGuy Monday Morning Coffee. Most of the time I have a guest. And most of the time those guests are from the event industry. I don’t feel that guests must be from the tradeshow and event industry, but most of them are. I do want to have chats with people that are doing interesting things in business and would make for an interesting conversation. Browse through here for brief but insightful conversations with experts in tradeshow marketing, public speaking, communication, technology, entrepreneurship, photograph and much more! Kelly Mooney: a professional photographer with tips on creating a great headshot. Internet marketer and public speaker Kathleen Gage discusses business, public speaking and marketing. Mary Lou Burton is an event organizer and promoter. Her latest event is the annual Cannabis Collaborative Conference. National Speaker Association Hall-of-Famer Terry Brock. Entrepreneur and profitability consultant Thor Conklin. Business credit expert Gerri Detweiler. Communication skills expert Bill Lampton, Ph. D.
How does “revitilization of the human spirit” relate to tradeshows and events? Andrew Bennett of the Bennett Performance Group digs into this with me. Classic Rental Solutions General Manager Jim Shelman looks at rental exhibits in 2018. Author and entrepreneur Chris Reimer discusses his new Boosa Tech powerbank. Publicity Hound Joan Stewart discusses some great ideas to create publicity around a tradeshow. Sales Trainer Jeff Bajorek discusses sales prospecting. Magician and professional tradeshow presenter Robert Strong. International tradeshow expert Larry Kulchawik. Tradeshow marketing consultant Mike Thimmesch. Professional photographer Irina Leoni discusses her approach to creating photos that tell a story about a business or a person. Nathan Grepke, President of Blue Pony, talks about video and audio technology used on the tradeshow floor. Subscribe to the podcast here! And subscribe to our YouTube channel here. Mel’s ONE GOOD THING was attending the Salem-Keizer Volcanoes at 9 am and witnessing the eclipse! And subscribe to the audio version of the podcast here.